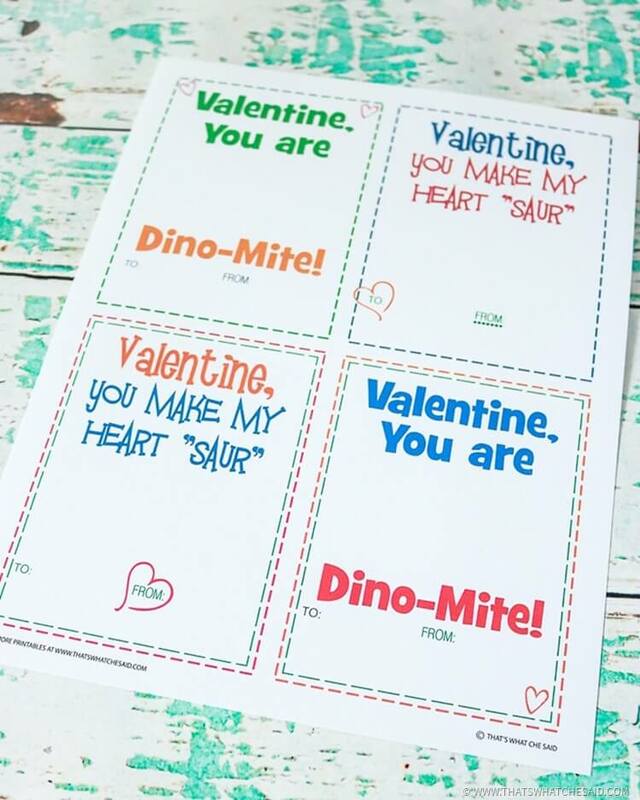 If you have a dinosaur lover in your life, this dinosaur valentines card free printable will make the perfect valentines cards to pass out to all their friends! 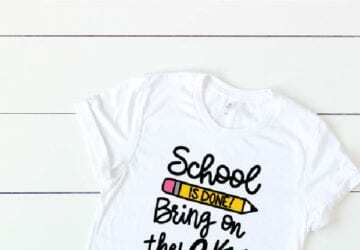 Don’t forget to grab your free printable below! This is a perfect non-candy valentines idea! More and more schools these days are requesting class valentines that do not contain candy. 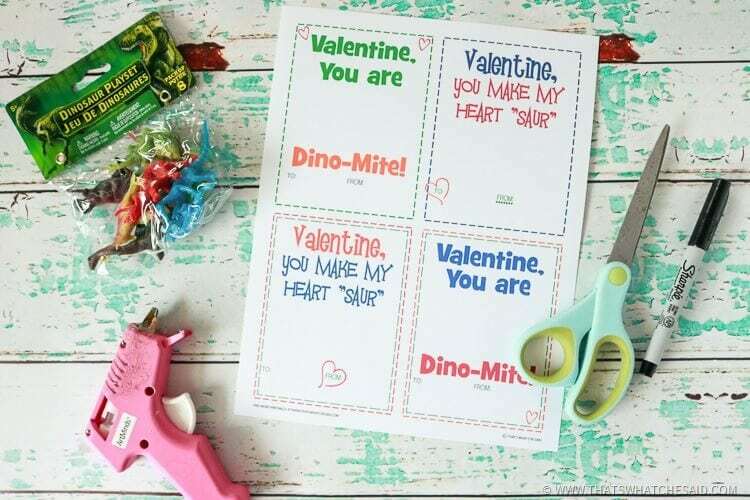 Here is a cute and inexpensive way to make some yourself at home and still offering a fun “prize” with the paper valentine card! 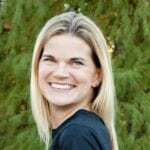 For your convenience I have included links to the supplies! I picked up the dinosaur toys at my local Dollar Tree or you can also find them on Amazon at the link above. 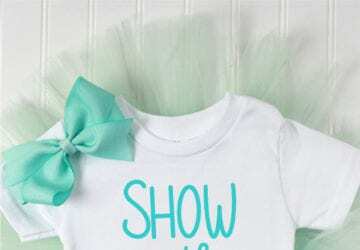 Start off by downloading and printing off your free printable onto white cardstock. Regular printer paper is not sturdy enough to hold the dinosaurs! Using scissors cut the Valentine Cards apart and trim any extra edges! 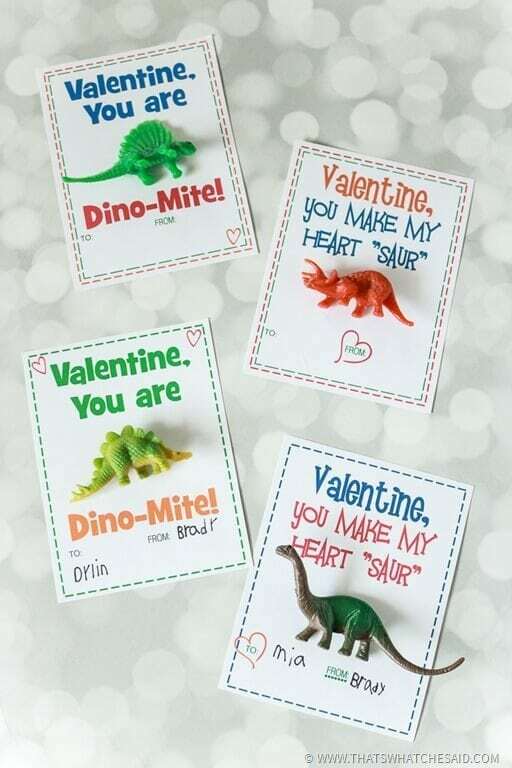 To adhere the dinosaurs to the valentines cards I am using low temperature hot glue gun and glue sticks. Why you ask? Low temperature hot glue will act as glorified rubber cement without the smell and the mess! You will still be able to peel the hot glue from the dinosaur so the kids can play with it. 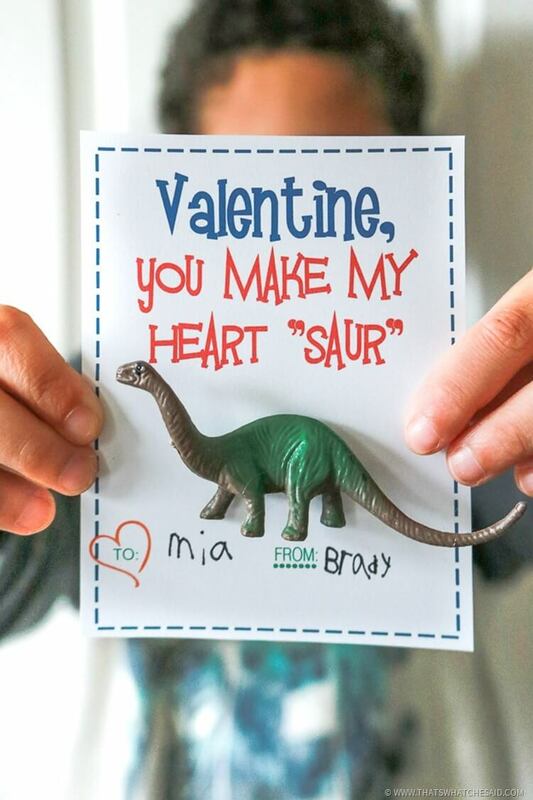 You could also punch small holes in the card and tie the dinosaur on with some twine. 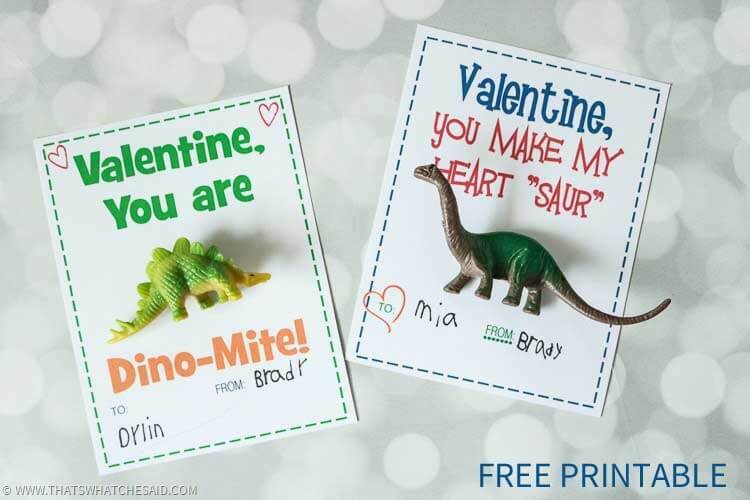 Then let you small people have a terrific time passing out their dino-riffic valentines to their classmates! 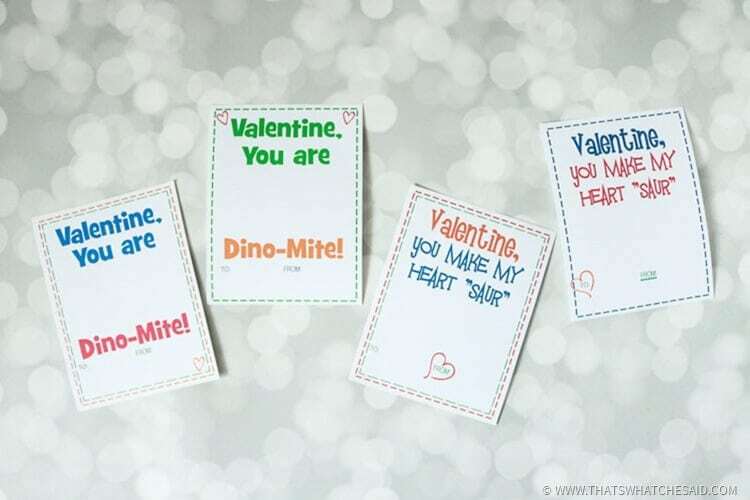 I have some other fun non-candy valentine ideas for class cards as well! 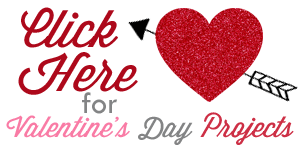 You may find ALL of my Free Printable Valentine Cards Here. Check out all my Valentine’s Day Projects Here as well! 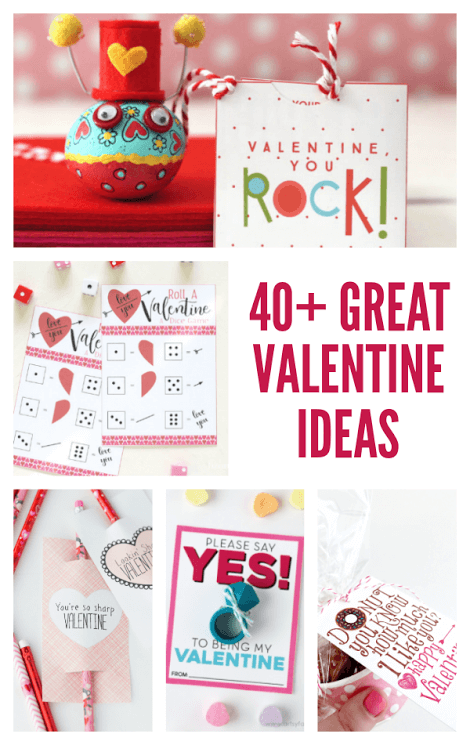 Check out all these great Valentine projects from my friends too! These are adorable. My boys would love to receive or hand these out! Wish this around when my boys were little! We would have had a ball with these, especially the dinosaurs!! So cute Cheryl! Thank you Ireine! I appreciate it!